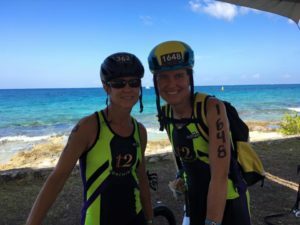 Endurance Hour Podcast #185 I discuss my Ironman Cozumel Race Report. When I signed up, why I kept it a secret and lessons learned. 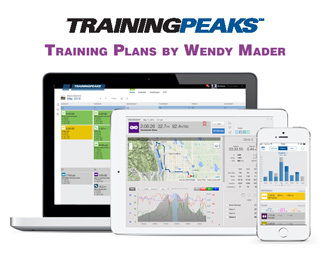 Why I signed up 10 weeks before the race date? A friend of mine called and told me she wanted to take me anywhere I want to go between January and April of 2017. 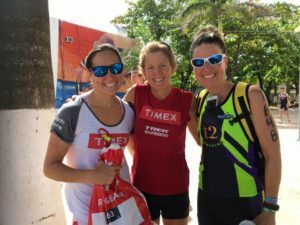 That morning, I saw a photo of the Cozumel ocean on Facebook from my Timex Teammate, she was there competing in the ITU World Championships. I replied to my friends invitation, “I want to go to Cozumel. 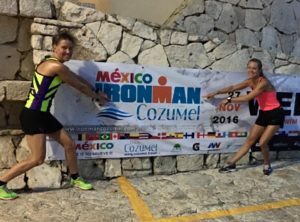 ” Then the discussion of Ironman Cozumel came up. 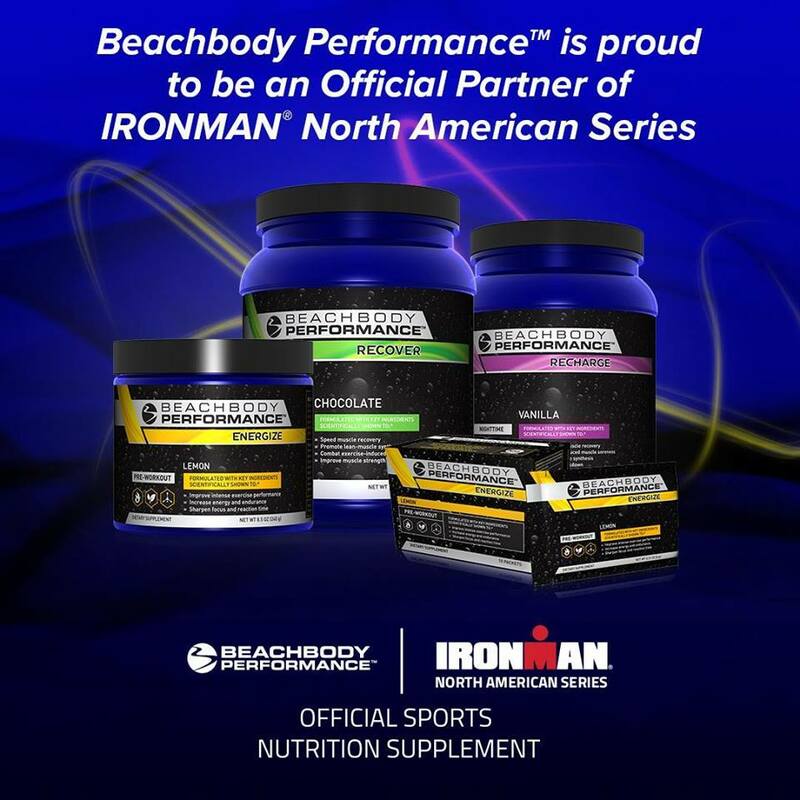 I had no intention of competing in an Ironman this year until now. My reason? 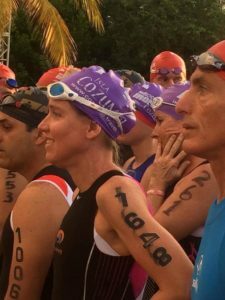 I was very fit and healthy, I had set a goal of wanting to qualify for the Olympic Distance, 70.3 and Ironman World Championships in the same year. 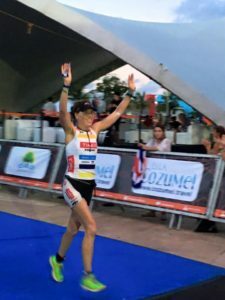 Since I had qualified for Olympic Distance at Age Group Nationals, and knew I would quaily for 70.3 World Championships at Gloria 70.3 October 23rd, racing Ironman Cozmel was an opportunity to quality for Ironman World Championship and I was excited. 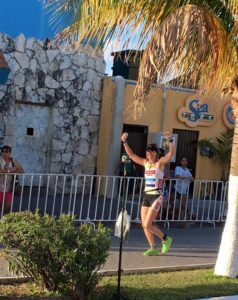 After coming to the trip in 10 weeks, I also realized 2017 was going to be my 20 year Anniversary since competing in my first Ironman so my WHY for competing in Cozumel become even stronger. 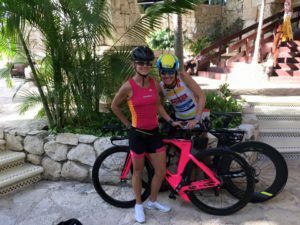 The opportunity, invite from my friend, meet preparation, I was heading into my peak for Gloria 70.3, so was fit, came together. My motivation, WHY, was strong and confidence high. The day started at 4 in the morning. I actually got a really great night’s sleep, which has been pretty typical for me the past 10 years of racing before an event, and awoke before my alarm feeling rested and ready. I enjoyed some relaxed time with Geri sipping our coffee and we gave ourselves plenty of time to get catch the shuttle form our hotel to T1 to fill our bottles and check gear. It had rained over night. Swim: I was very calm and excited to swim with the current. I discuss on the podcast why it was a little more changing then anticipated. The rain had stopped by the time I got to the swim start. The sun was starting to come up and the water looked nice and calm. 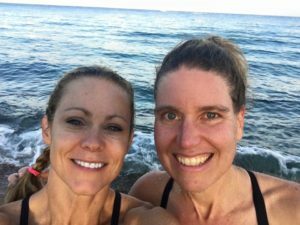 I was looking forward to the swim because I had been told I would feel like super women, already a strong swimming, now swimming with the current. Geri and I had swim a few times previously so I know it was warm and beautiful. As always, I seeded myself front and center into corral 1: under an hour 1:00. The pro men started at 7:20, followed by the pro women as 7:25, then us age groupers at 7:30. I started to swim, but found that I was having to work a lot harder than I’d anticipated. The current did not seem us. In fact, as I continued to swim, there was a few points I felt like I was not making forward progress. And it just seemed long!!! After about the halfway point I latched onto a draft, and it seemed like the current shifted and I remembered that the buoys were 100 yards/meters apart so I was taking splits to confirm the faster pace and I was moving 1:15-1:20 between buoys. It did seem like a very long swim. Last turn, I was at the swim exit. I was happy with :54 minutes, although with the hype about swimming with the current was anticipating under :50 minutes. 54:34, is my second fastest 2.4 mile swim, Ironman Arizona 2009 I was low :54. My anxiety this past year due to the injury from December 2015-August 2016 and lack of running miles compared to what I normally do for an IM. I had made the comment the night before I wanted to negative split the run course. I was going to take the first loop easy and try and settle into a rhythm. The first 4 miles split was 8ish minute / mile and felt super easy. My consider was still high. I was happy. Aid stations were every km, vs mile, kind of threw me off for some reason. It was a three loop out and back course. 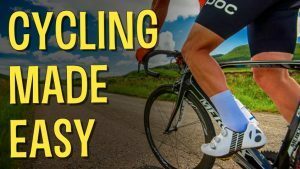 I had my salt tabs, just started using them in 2015 due to my first cramp at mile 18 of the IM Boulder Marathon in 2014. I am not experienced with the salt tabs and probably should have started taking them earlier since my calf cramped pretty good at mile 7. No worries salt, water, should not be a big deal. It definitely slowed by pace down and I was ok with that since I was in good position in my age group. At the start of Loop 2, a little nausea started and was pretty much full on by mile 10, and with the calf cramp, my mind and body being to shut. I wish I had a recording of my thoughts. I walked till mile 16 as I was approaching the finish of lap 2, thoughts of dropping out entered my mind as well as thoughts of jogging the last loop. I detail in the podcast the calf cramp and nausea that lead to me walking mile 14-16 and how I overcame come mental demons to finish strong, the last 8 miles average about 8:00/mile pace. By my third loop I saw my friends Geri and Dave and was jogging. After I passed them I realized my calf cramp was gone and my stomach had settled so I could run again and rallied back to 8:00/mile pace. On the backside of the final loop, mile 22, I was still feel AWESOME!!! Passing women who had passed me while walking were now struggling. Taking in the incredible spectators (the hotels were playing music, people were cheering and screaming, there was a band in the city, it was amazing) and counting down the miles until we were almost to the finish. 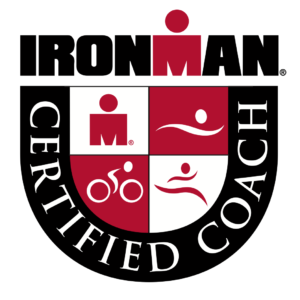 Ironman is tricky and I learn form each one, #16 in the books time to get ready for #17 then #18 in 2017. My WHY is strong I wanted to get 3 world championship qualifications in the same year and also get to Kona 2017 to celebrate 20 years since my first Ironman in 1997 so was totally driven. 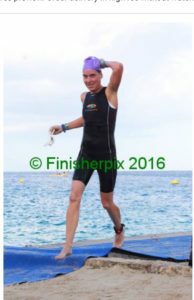 Despite missing my goal of qualifying for the 2017 Ironman World Championships by 1 slot, I had a successful race. I am grateful for all the opportunities I have had this year since the move from Colorado to Georgia.